Are Democrats willing to fight? The last few years have seen a number of rallying cries for female voters, especially Democratic female voters. There was that moment President Trump called Hillary Clinton a “nasty woman” on the campaign debate stage, followed by the size and scope of the Women’s March just after his Inauguration Day. (Win McNamee/Getty Images) Christine Blasey Ford prepares to testify before the Senate Judiciary Committee in the Dirksen Senate Office Building on Capitol Hill, Sept. 27, 2018 in Washington. 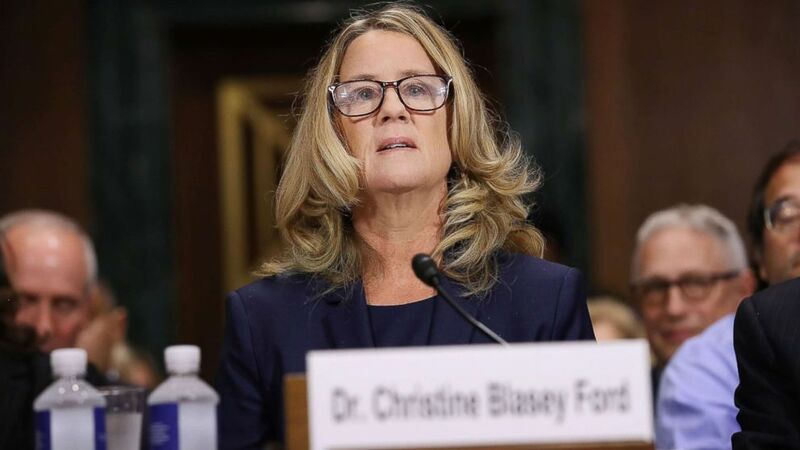 And then, on September 27, 2018, there was professor Christine Blasey Ford. Her humility, clarity, understandable nervousness, but remarkable steadfastness as she testified was inspiring to many. She looked courageous and cemented her place in a long line of brave women who have come forward this year during the #MeToo movement. The way Ford said she would have “hosted” Judiciary Committee Chairman Charles Grassley at her home in California, and her asking him if the way she was sitting was OK, made her seem not only relatable but kind. Maybe there will be more bumper stickers. On the one hand, Ford made the moment bigger than the halls of Congress, giving voice to those who have felt voiceless. Politically, with the 2018 midterm elections just over a month away, Ford also undoubtedly inspired female voters and candidates already fired up this year and fighting for more representation in Washington. After all, except for Grassley, committee Republicans would not even address Ford. They let a female prosecutor do all the talking, hoping it would protect them. It just looked odd. Still, if Ford is a fire for Democrats in 2018, who will catch that spark going into 2020? Several Democrats on the Judiciary Committee are rumored to be thinking about a presidential run, but if Democratic voters want a bomb thrower, they did not see one on the committee Thursday. 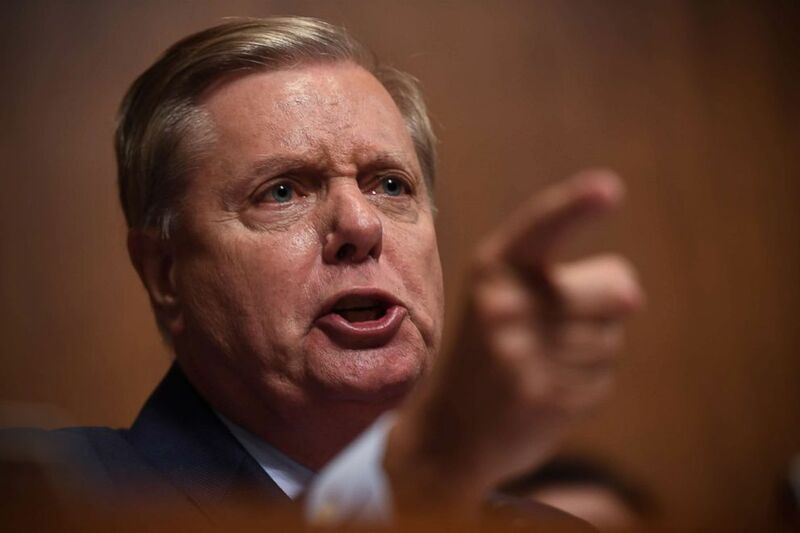 (Saul Loeb/AFP/Getty Images) Senator Lindsey Graham addresses Supreme Court nominee Brett Kavanaugh as he testifies before the Senate Judiciary Committee on Capitol Hill in Washington, Sept. 27, 2018. 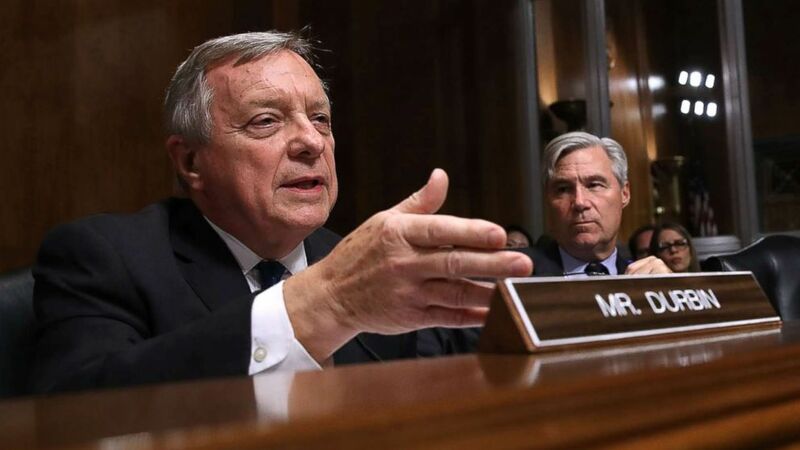 (Win McNamee/Getty Images) Sen. Richard Durbin questions Judge Brett Kavanaugh during his Supreme Court confirmation hearing on Capitol Hill, Sept. 27, 2018 in Washington. Democrats did not seem to have anyone ready or willing to respond -- they had been playing not to lose. Maybe that will pay off in the long run. Maybe Democrats wanted to appear as if they were above the fray, speaking to the nation, not just the other side of the room. But did they also look meek and unprepared for a fight?